Party Bus Rental West Palm Beach, Limo Services in West Palm Beach . Airport Limo West Palm Beach:Palm Beach Party Limo: Car Service: Lantana Limo Limousine Car Service. West Palm Beach Party Bus Services. West Palm Beach Party Bus is our specialty, we provide top quality West Palm Beach Party Bus and business travel services, whether you are an individual, corporate traveller or a large multinational organisation. From the little things like having a dedicated staff member assigned to your account, to the larger needs to fulfill your requirements exactly, we stand out from the crowd by offering a complete tailor-made travel solution. Find the best prices for Party Bus Limo service West Palm Beach Luxury SUV, Fort Lauderdale, Boca Raton and Palm Beach FL, when you call Vip Execucar Party Bus Limo Service. 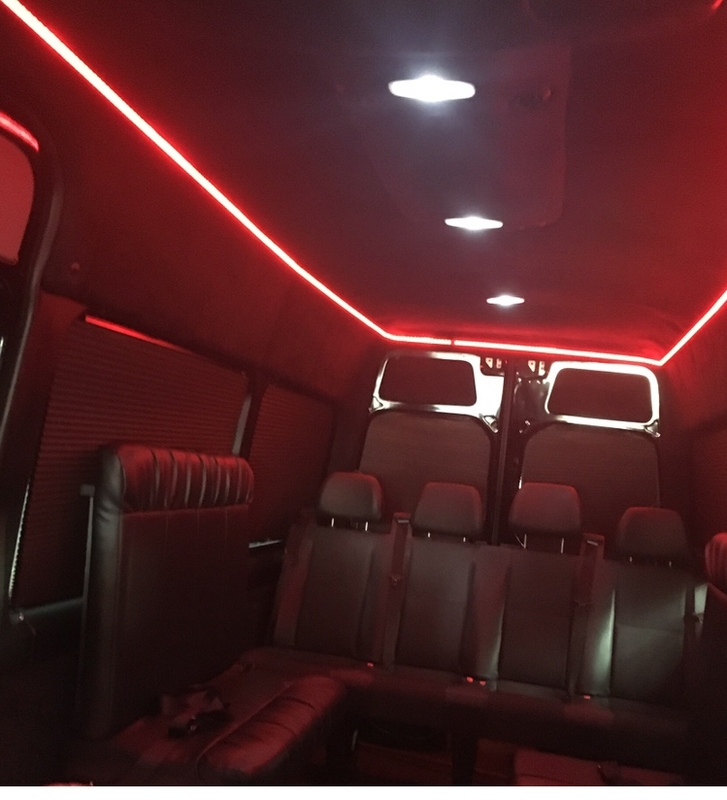 The Party Bus Limo is offered as part of our airport party limo service fleet in West Palm Beach , Parkland, Fort Lauderdale and Miami.airport car service. This extraordinary Party Motor Coach is the ultimate in luxury for transportation. Palm Beach Car Sedan Service, offering Airport Transfers, Wedding, Birthday, Casinos, Concert, and Special Occasion Limo service. The Lincoln Town Car limousine sedan also comes equipped with a control panel located on the rear arm rest to adjust the temperature inside the vehicle, radio volume and stations at the touch of the button. It is also equipped with dark tinted rear glass for privacy. So sit back and enjoy the ride! Palm Beach Party Limousine service Is West Palm Beach Bus limo. Coming to West Palm Beach for plesure or travel limosine service maybe just what they need and your Palm Beach Airport Chauffeur can take you anywhere you want. Find Palm Beach SUV luxury transportation company dedicated to providing Luxury Party Buses for your wedding by Corporate Town car Sedan service in Vip-Execucar Limo. If just came from the airport of Miami,Boca Raton, Fort Lauderdale, West Palm Beach and Key West Fl. Miami Services chauffeurs wait four you at your airport baggage claim and displaying your name 15 minutes before the planes arrived. Enjoy our Palm Beach Limo Car & Party Bus Service with new fleet of Party limo bus, SUV's Limousine services in Palm Beach FL PalmBeache's most reliable and economical party limousine service for excutive town car, Luxury Town car, Luxury limousines, SUV's and super etretch limousines. With over 20 years in the chauffeured services and transportation services all over the USA is uniquely qualified to deliver the highest level of quality chauffeured services you will find anywhere. West Palm Beach Airport Shuttle & Executive Car Service offers limousine services that will greatly exceed your expectations. 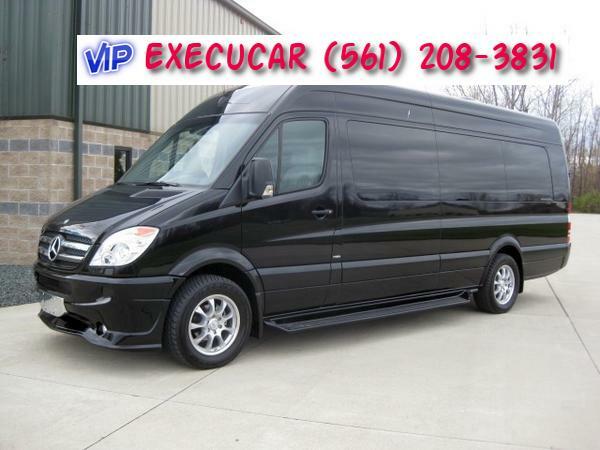 We have many new 2013 SUV's, Party Buses , Mercedes Benz and Stretch party Limousines which are Clean and very well maintained. 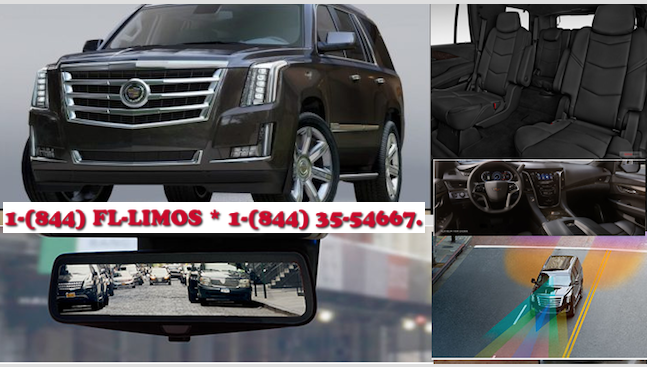 Town Car Service & Luxury SUV's service is affordable by Vip Execucar whether you need Palm Beach car service, in a hurry to the airport,visiting a family member out of town, late for a meeting, call Vip-Execucar Palm Beach Limo for all your car service. 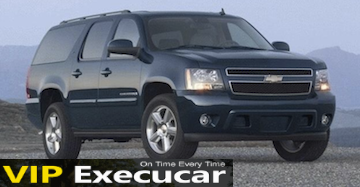 Why not make it a Chauffeured Luxury SUV West Palm Beach for you next trip? 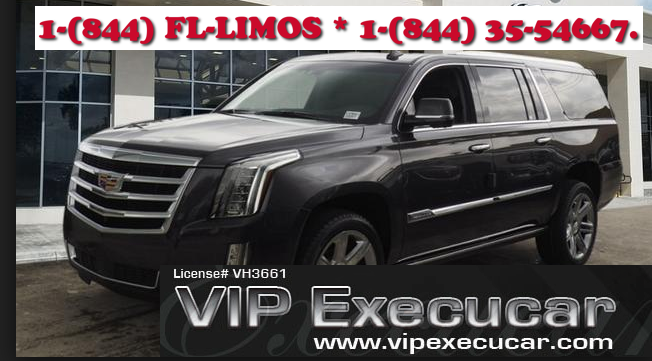 Vip-Execucar offers world class premiun Palm Beach Car service and SUV limos Service in Riviera Beach, Palm Beach, Naples,Palm Bay and Lantana. 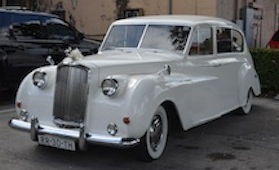 Save up to 10% on Palm Beach Airport Limo, Limousine Service, Limo Rental, SUV Luxury Rental, Airport Service, Town Car,Sedan Transfer to/from Palm Beach airport when you call us to book your wedding limo, airport transfers or any ground transportation between PBI International Airport and Miami International airport. 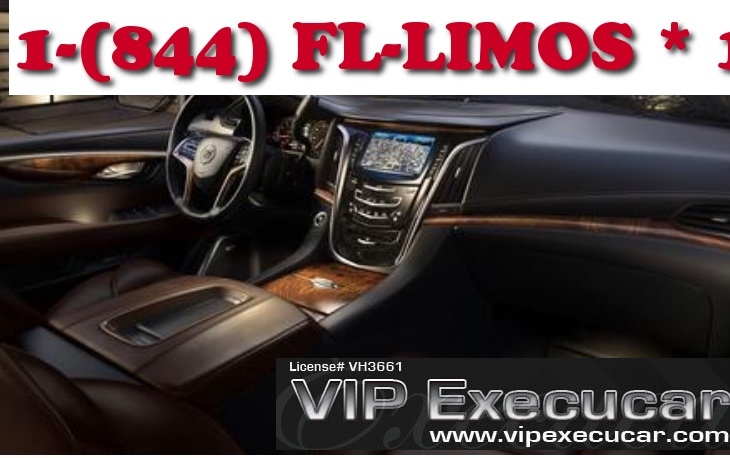 We provide Limo rental West Palm Beach with the top Luxury SUV Limousine and car service for Wellingtton, Palm Beach, Boca Raton, Fort Lauderdale, Miami, Weston, Cooper city, Orlando, Key West and Vero Beach FL more cities . See Palm Beach in style in our gorgeous new town car sedan or the new 2013 SUV limousine. You can count on us for you Palm Beach Airport Limousine service, Deerfield Beach Limo, Margate Wedding Limo or for any limousine event. The owner of VIP-Execucar Palm Beach Limousine has been in the Transportation Business since 1994. He has long standing history for providing superior customer service and timely arrival times. 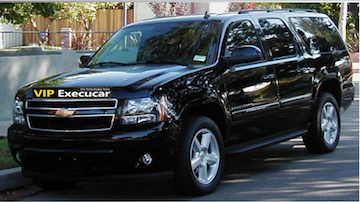 Vip-Execucar Car service also caters to special events such as Business Meetings, Road Shows, Weddings, Airport,Transfers from point A to point B, Out of Town / long distance trips /to Canada, and much more! » Airport Transfers Always open.